Political leadership is filled with contradictory imperatives: the need to fight for equity and a fair share for your people; the need to work together with others to get things done that canâ€™t be done alone; the desire to do what is morally right; and the insistent call to be pragmatic and do that which is doable. Competitive, cooperative, moral, and practical impulses tug at each other. We need to follow all of them, simultaneously. Some do this with greatness. It is April 9, 1865. Robert E. Lee, exhausted from years of fighting and in retreat, is determined to make one final attempt at escaping the ever-tightening noose of Ulysses S. Grantâ€™s army at Lynchburg. In the early morning, the Confederates make their move. Initially they gain ground against Phil Sheridanâ€™s cavalry but in short order they are surrounded on three sides. Lee and his army are weary, hungry, and checkmated. 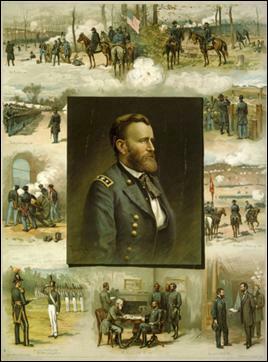 Poster of Grant: â€œFrom West Point to Appomattox.â€� Credit: Wikimedia Commons. Who are these men speaking the courtesies and formalities of surrender? They are both military geniuses, fierce warriors who have battled back and forth across the North and South ruthlessly sacrificing thousands of soldiers to achieve their objectives. Grant, a poor student, a failure in business, and a heavy drinker, has many other virtues. He enjoys a reputation for fairness, is a good listener, keeps his own ego in check, and is perpetually and brutally self-honest. Lee, a towering figure to Northerners and Southerners alike, is a devout Christian, a deeply loyal citizen of Virginia, and a persistent if not stubborn man of known character. Both Lee and Grant should be deeply embittered. Instead, they are deeply respectful of each other, tired and quietly desirous of bringing matters of war to an honorable end. General FRobert E. Lee. Credit: Wikimedia Commons. Arranged through notes and messengers, they meet at the house of Wilmer McLean in the village of Appomattox Court House. Arriving first, Lee waits in a first floor sitting room. Grant arrives soon after and enters the room. They talk casually and then summon their staffs. The physical contrast between the two commanders is striking. Grant, forty-three years of age, is five feet eight inches with stooped shoulders. His hair and full beard are brown and without a trace of gray. 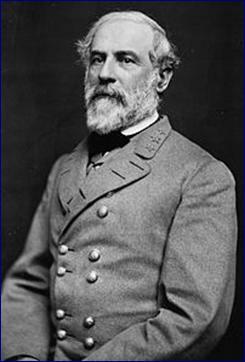 Lee is six feet tall with silver-gray hair and a full beard. He sits ramrod straight in his chair. Whatever you call it -- â€œguerilla bridge-building,â€� â€œstorm chasing,â€� or â€œprotean problem solvingâ€� -- the work you are doing descends from a long line of leaders who have experimented with ideas, models, and tools for constructively managing controversy. 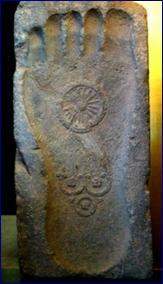 People have been doing this kind of thing for thousands of years and many have come to it the hard way. King Asoka became a more humane ruler after leading bloody wars for control of the Indian subcontinent. Count Maxmillian was directly responsible for ending the Thirty Years War for the Holy Roman Empire. Thomas Jefferson brokered an agreement between Secretary of the Treasury Alexander Hamilton and Congressman James Madison establishing Washington, DC as the countryâ€™s capital. Oscar Schindler successfully haggled with the Nazis for the lives of Jews. You do yourself and others great honor by doing this job well. You donâ€™t have to be Jesus, Moses, Mohammed, Buddha, or Superman to do it, but you need to work hard at the task and be unrelenting.